Liquid Drainers (also known as Liquid Drain Traps) are primarily used to remove condensation from air and other non-condensable gas lines. Watson McDaniel Liquid Drainers are offered in a variety of types and models to handle a wide range of operating pressures and condensate loads. The WLDE & WLDES Series high-capacity drainers meet the flow requirements that are typically found in heavy industrial process applications for air and other gases. The WLD600 & WLD601 Series are used in applications where immediate or continuous discharge of large amounts of liquid is required. These drainers are typically used in heavy industrial process applications for draining condensate from air or other gases. The WLD1400 Series is used on air and gas applications as drip traps on piping runs as well as drainage for systems and various process vessels that have moderate condensate loads. The WLD1900 Series is used in applications where immediate or continuous discharge of moderate amounts of liquid is required. These drainers are typically used in process applications for draining condensate from air or other gases. The WLD1500 Series Inverted Bucket Liquid Drain Traps are recommended for the removal of oil and liquids from compressed air systems. 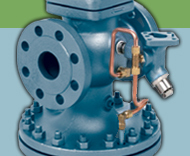 The WLD1703 Series is used on air and gas applications as drip traps on system mains and other piping runs. These drain traps are ideal for outdoor applications where units are subject to freezing. The WLD1800 & WLD1800R Series are used on industrial air and gas applications for drainage of liquid from systems.